The Skil-Care Econo-Gel Pads are designed to alleviate painful pressure and increase comfort for those who spend extended amounts of time sitting in a wheelchair. 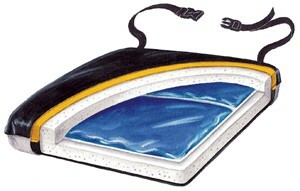 The center of the pad has a gel-filled pod that acts as a pressure relieving floatation, which is surrounded by high-density foam. This increases comfort and stability for patients and residents. It comes with a safety strap that keeps the cushion in place and makes it easily removed for cleaning. The polyester cover can be laundered or wiped clean with soap and warm water or disinfectant wipes. The pad is easy to clean and comes with a fluid-proof vinyl cover that protects against incontinence. 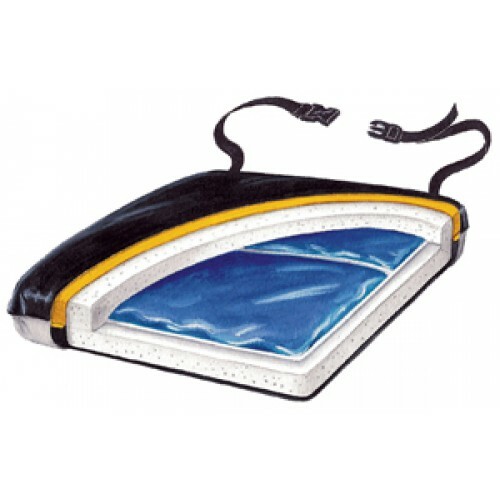 The high-density foam is comfortable and ideal for those who experience pressure pain.